Successfully saved Breakfast Quesadilla with Soft Scrambled Eggs and Avocado Salsa to your Calendar. You can also save the ingredients to your Grocery List. Soft scrambled eggs, crispy bacon, chipotle peppers, cheese, and spinach, all stuffed into flour tortillas and cooked until golden. 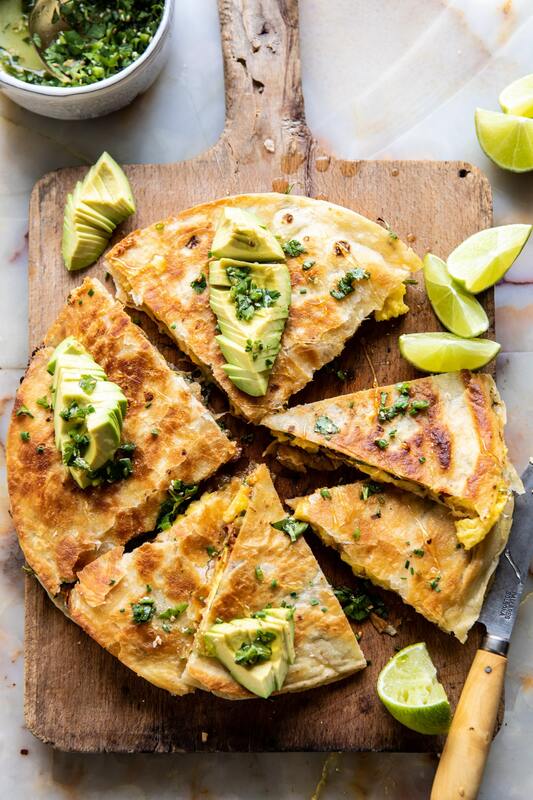 Top these quesadillas with a spicy avocado for a complete breakfast. Perfect for storing in the freezer to have on hand for busy mornings.